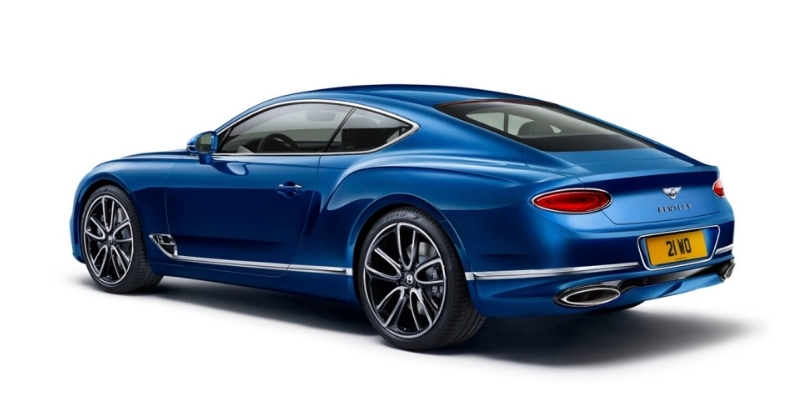 BENTLEY MOTORS launches The New Bentley Continental Gt at a Starting price of Rs 3.29 – 5.14 Crore. The New Bentley Continental Gt is powered up with new 6.0 litre, twin-turbocharged W12 engine, a step-change in technology and a truly stunning design language. Bentley Continental Gt on-road Price is in the range of Rs 3.29 – 5.14 Crore. Ex showroom Price in New Delhi. For detailed enquiry please visit Bentley New Delhi Dealer page. The new Continental GT can be commissioned with a stunning dual-veneer trim, in which the natural grain of wood is contrasted with clean, minimalist Piano Black, or distinctive Grand Black on the First Edition, the two finishes separated by a 3mm strip of polished chrome, tracing a ring around the cabin. Alternatively, there is a choice of eight single veneers, including the new Koa veneer. There are 15 interior hides to choose from covering everything from the seats and the dashboard top to the door panels and car headliner. They are Magnolia, Camel, Linen, Portland, Saddle, Brunel, Cumbrian Green, Burnt Oak, Damson, Cricket Ball, Hotspur, Newmarket Tan, Porpoise, Imperial Blue and Beluga. Carpets can be chosen to match either the main hide or secondary hide. An impressive range of standard and optional colours are available, and if you are looking for a special colur which is unique to you Mulliner are able to work with you to create something truly bespoke. Working alongside the very latest technology in robot paint systems to provide an unrivalled level of detail.